Buying beads wholesale often requires purchasers to be a registered business with a resale license or tax-exempt certificate from the state. This certificate allows you to purchase beads at wholesale prices and without paying any sales tax. Jewelry designers, bead store owners and retail bead suppliers who buy beads for their business and then resell them to the public will have a resale certificate or license from their state. Wholesale bead suppliers will require a copy of your resale license or ask you to furnish your certificate number upon registering with their company. This prevents people without a retail business from purchasing at wholesale prices offered business to business, or B2B. Buying wholesale beads will affect your bottom line, as the lower material costs translate into lower retail pricing or larger profit margins. Shipwreck Beads and Beads in Bulk are two online wholesale bead suppliers with a large selection of premium quality beads for making jewelry. Making beaded jewelry is a popular hobby as well as a way to make a lucrative income for talented jewelry designers. Buying beads in bulk will often allow for prices closer to wholesale if you are making jewelry as a hobby, not as a retailer. For the hobbyist who does not have a resale license, there are retailers online who offer wholesale prices to the public, though the prices are not as low as for business owners with resell certificates. Shipwreck Beads offers wholesale prices, but sales tax applies to anyone without a resell certificate. Beads in Bulk refers customers with no resell license to their retail website, ebeadstore.com. Beading enthusiasts may find that buying large quantities of beads to lower their prices may result in too much inventory for the limited quantities of jewelry designs they make for family and friends. A few online suppliers offer wholesale bead prices to the retail market, such as iBead, South Pacific Wholesale and Accent Beads, but you may have to meet a large minimum purchase requirement to qualify for the wholesale bead prices. 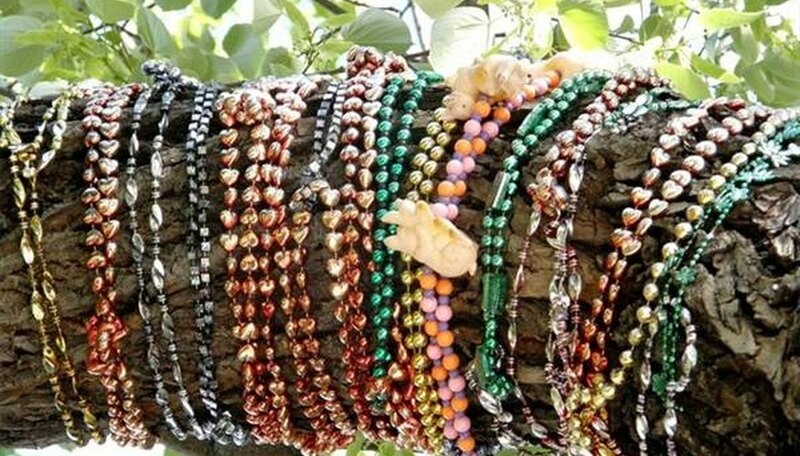 Other bead wholesalers offer quantity discounts to the public, bringing the bead prices lower and closer to wholesale. People who make or design jewelry as a hobby or persons who wish to test the waters before jumping into owning their own business may appreciate buying wholesale beads, even if there is a minimum order requirement. Buying wholesale as a prelude to opening a bead business affords the potential business owner practical pricing examples and allows them to explore their options for wholesale bead suppliers.